Vertoz is thrilled to announce that it will be attending the Programmatic I/O Conference – world’s largest conference dedicated to educating marketers, publishers, and agencies about the latest in programmatic media management. 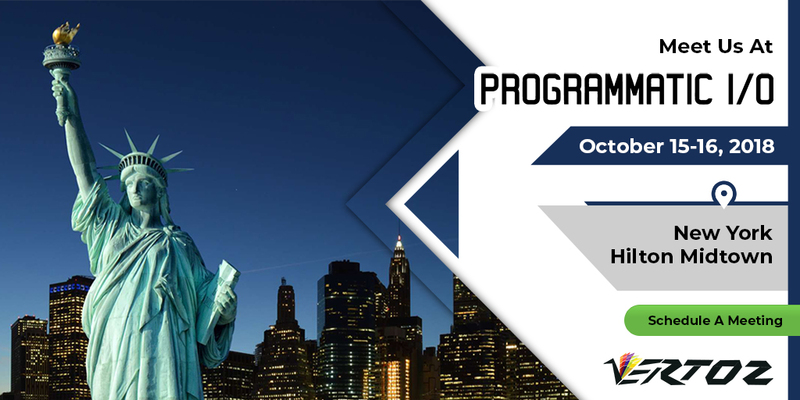 The event will be held between October 15-16 2018, at New York Hilton Midtown, New York, USA, and will be graced by the presence of all major media houses, online publishers, marketers, agency executives, innovators, and industry leaders, from across the world. This is a golden opportunity for us to get exciting insights on the latest technologies and upcoming trends in the programmatic advertising ecosystem and come up with relevant tech-driven solutions. We are super excited about attending this event. Hope to meet you there!